Because Regentville is as far west as you can go in Sydney suburbs before reaching the Nepean River boundary, it's understandable that they need fences to keep kangaroos and wallabies out, as in Jeanette Street. The corner of Warrane Road and Malvern Avenue, Roseville Chase, sets the trend: the fence matches the house. 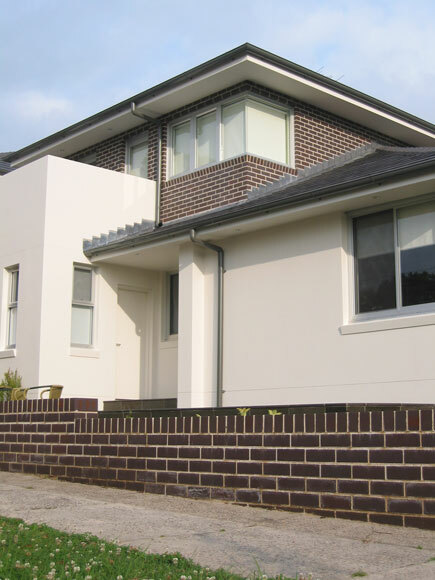 A row of houses combine to form their Great Wall of Rydalmere in Park Road. 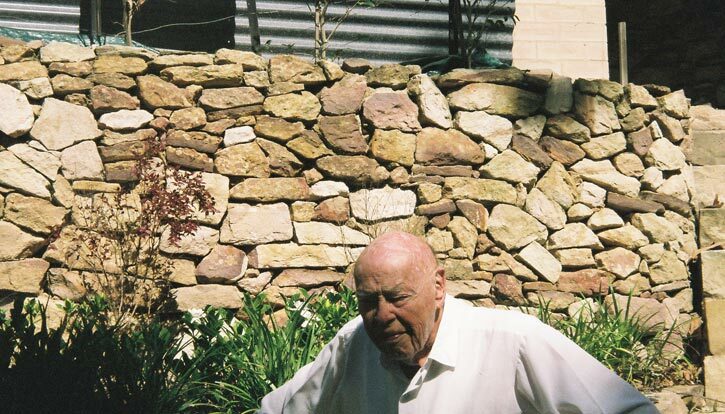 …especially when it's been pierced right through by this Kirby Street, Rydalmere, gate. Twice. 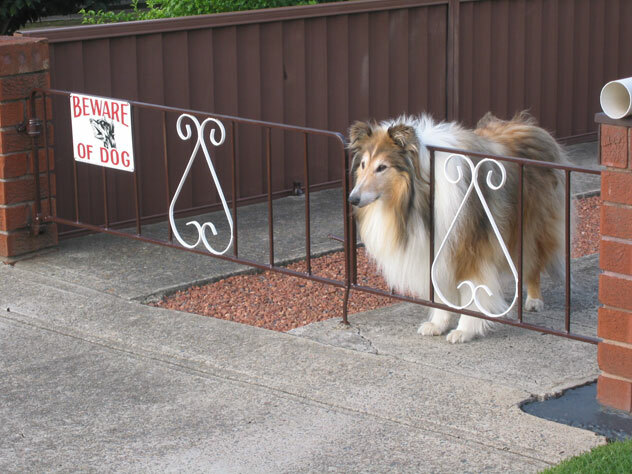 These fences are for those who have committed offences. Silverwater jail dominates the suburb. Clyde Street’s jigsaw puzzle - South Granville. The fence that’s fenced in. Otherwise it would gradually roll down Clyde Street, South Granville. 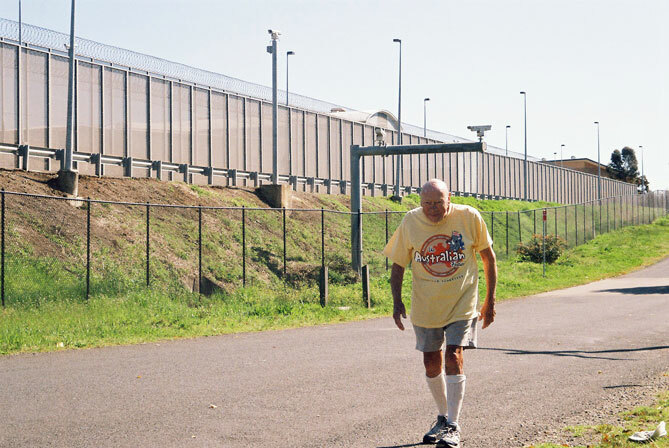 Montgomery Avenue, South Granville, is Sydney's best for ancient walkers. 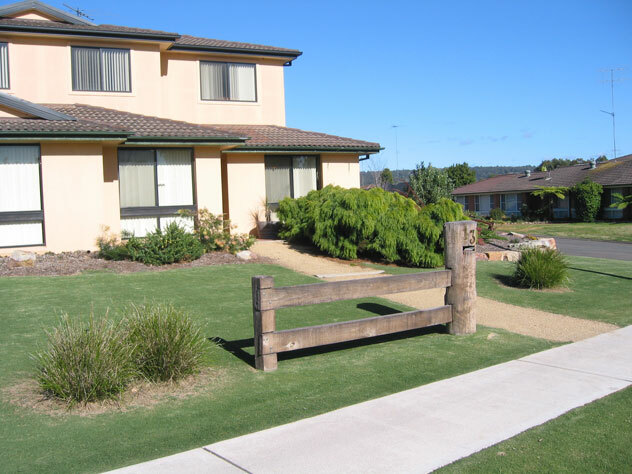 Correct-height fences are thoughtfully provided the whole way on both sides. 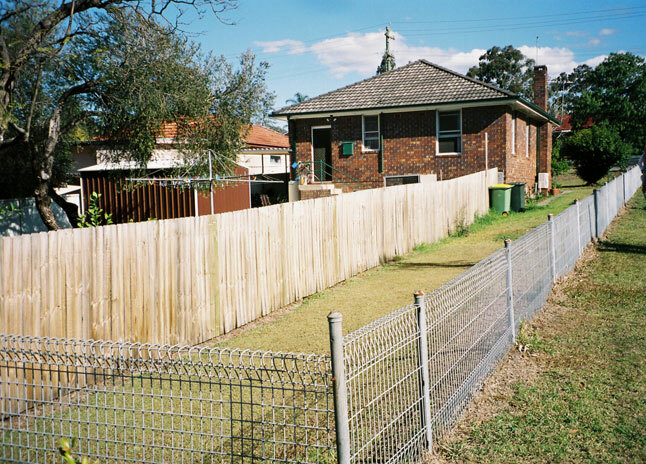 We were hoping a resident of this house in Hayes Avenue, South Wentworthville, would emerge so we could ask why the extra fence forming a narrow grass strip. Maybe it’s a local specialty. 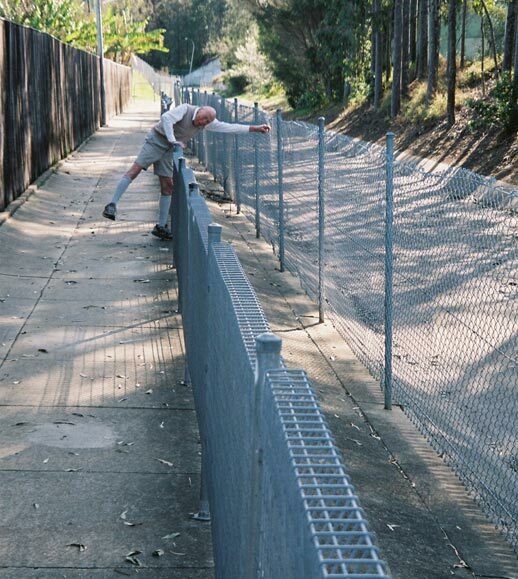 The path at the top of Alto Street, South Wentworthville, boasts a double fence too.